“Design is something that is born inside of you, it fixes itself to paper and becomes a mental projection at the same time”. Behind every design lies DOM HOME Philosophy creator Domenico Mula’s creative dynamism, expressed through purity of forms, attention to detail, and innovation. A philosophy which, to quote Baudelaire, can be summarized in luxury, calm, and voluptuosness. Predicting trends, tastes, and vogue. The emotional valence in material choices, forged with the creativity of ideas, and in collaboration with international design firms such as Andrea Fogli and Kaki Kroener, render choosing DOM Edizioni signed furniture the beginning of an exploration of style and elegance. In other words creating products with certain value and unmistakable style. 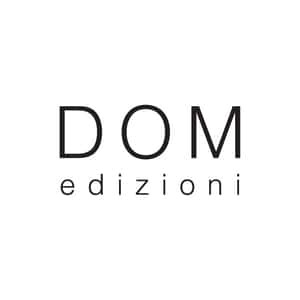 DOM Edizioni operates in the yacht, home and luxury hotel furniture sector, offering collections that are 100% made in Italy and products of its artisans’ know-how. The artistic director’s creativity, joined with a scrupulous investigation of the object, begins from the historical bases of global design through archive research engulfing all creative processes, have projected the Italian interior design company into the international market. NEED MORE DOM EDIZIONI INFORMATION ?